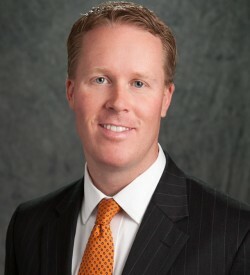 Bob Bendon is the Vice President of Business Banking at Bank of the West for the Kansas City Market. Bob joined Bank of the West from Wells Fargo in 2008 and specializes in working within the dental, industrial and real estate industries for the Bank. During his 14 year career Bob has focused on providing individual solutions for each of his relationships. In his tenure with Bank of the West he has been recognized for his performance with multiple Excellence Awards in Business Banking and was awarded President’s Club in 2012, which is the Bank’s highest honor for an employee’s performance. Originally from Omaha, NE, Bob moved to the Kansas City Area to attend William Jewell College where he played baseball. After graduating he stayed in Kansas City and along the way took a brief assignment in Tulsa, OK for the company. Bob and his wife Monica live in Lee’s Summit, MO along with their 3 children.